While most of us common folk live in regular houses that are just right for our families; some homes are both massive and insanely expensive. If money were not an issue and you wanted to spend large piles of cash on a new home, here are five of our luxury homes for the insanely rich picks. 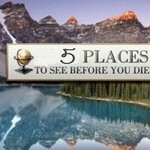 When you think of expensive homes, you probably picture sprawling estates that stand on acres of land. 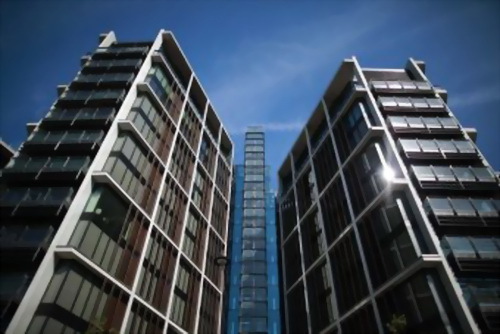 That is not the case with this penthouse apartment in London. 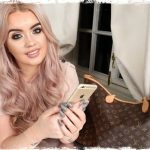 The house has an area of only 1,500 square meters (16,146 square foot), which makes it the most expensive property in the world per square foot. 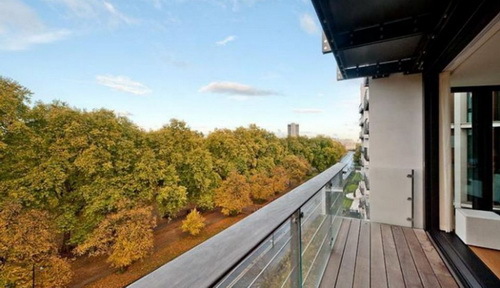 The apartment overlooks Hyde Park and features six bedrooms. 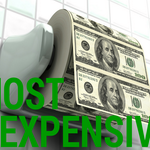 When it was purchased in 2011 by Ukrainian billionaire Rinat Akhemtov, the value of the penthouse was $247.7 million. In 2008, billionaire steel tycoon Lakshmi Mittal purchased this home for $176.55 million from an American financier, Noam Gottesman. 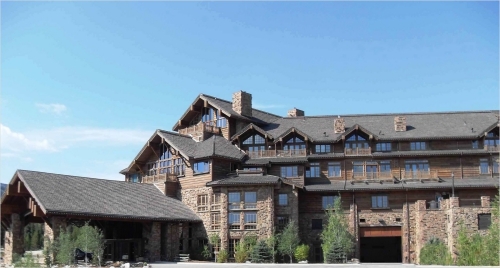 The home boasts 12 bedrooms and has a surface area of over 14,736 square feet. 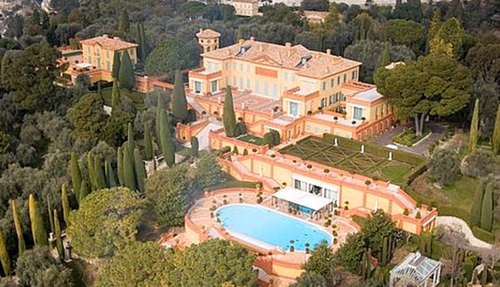 It is one of the world’s most expensive homes. 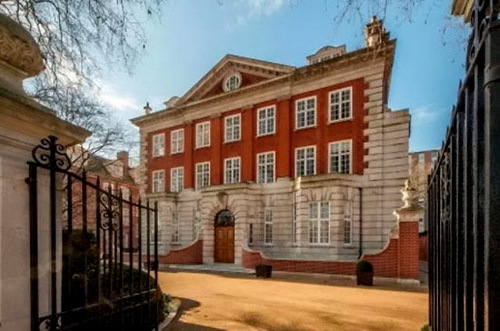 The property boasts several fab features you can’t find in average British real estate. An entire wing has been turned into a “dressing wing” for the woman of the house. Mittal put the property for sale in 2013 when a new owner reportedly acquired it at a loss due to the credit crunch of the period. 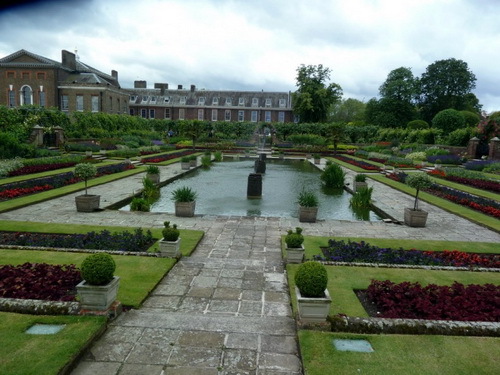 Still, the palatial real estate remains impressive with its flower room, a silver room (whatever that is) and dedicated premises for the little inhabitants who may want to do their homework in peace. 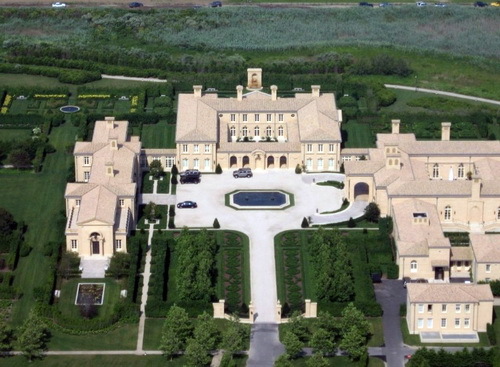 Owned by billionaire Ira Rennert, the Fairfield estate is one of the most expensive (and extravagant) residential properties in the USA. Named after the nearby Fairfield Pond, the home faces the Atlantic Ocean and sits on 63 acres of land. The buildings (yes, there is more than one structure on the plot) have a surface area of over 110,000 square feet—the main house is 66,000 square feet alone! The main home features 29 bedrooms, 39 bathrooms, a dozen chimneys and a beautiful tile roof that’s reminiscent of Mediterranean architecture. The formal dining room stretches 91 feet (imagine the crazy parties you could have here). For recreation purposes, the home has a basketball court, a bowling alley, as well as tennis and squash courts. This $248 million home may very well be worth every penny. 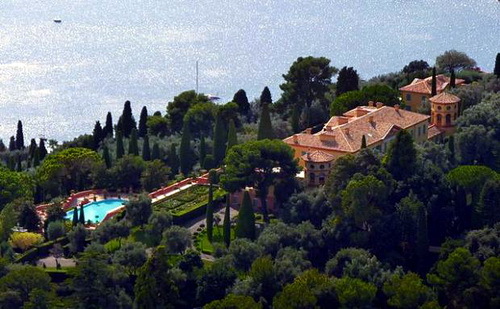 Villa Leopolda, located on the French Riviera, is Europe’s most expensive residential property. Microsoft tycoon Bill Gates once owned the home and it is now the property of Mikhail Prokhorov – owner of the Brooklyn Nets. The property sits on 10 acres of beautifully landscaped land, which require a team of 50 expert gardeners to maintain. 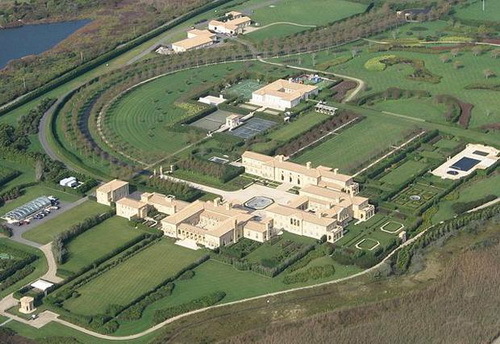 At the time of purchase in 2008, the home was worth $750 million. If you’re looking for something a bit more different, consider The Pinnacle in Montana. 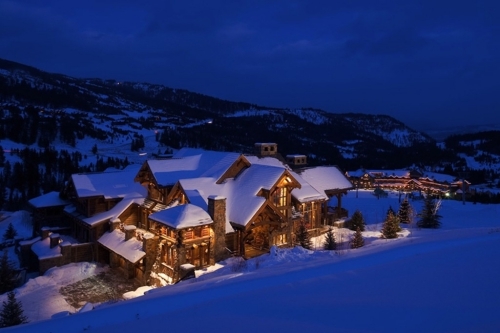 This is the world’s most expensive ski lodge and the second priciest property in this ranking. The Pinnacle has 123 rooms and an area of 56,000 square feet (who needs a lovely cozy lodge when they could have over a hundred rooms, are we right?). A heated floor system is used to ensure the comfort of the inhabitants. This exquisite lodge also brags a gym, one massive wine cellar for connoisseurs, fireplaces in all of the bathrooms and both interior and exterior swimming pools. The Pinnacle is currently valued at $944 million. 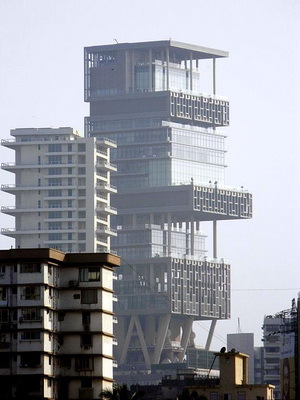 When you look at the skyline in Mumbai, India, you will see an incredible 27-floor tower. This is not an office building or an apartment complex; it is one single home. 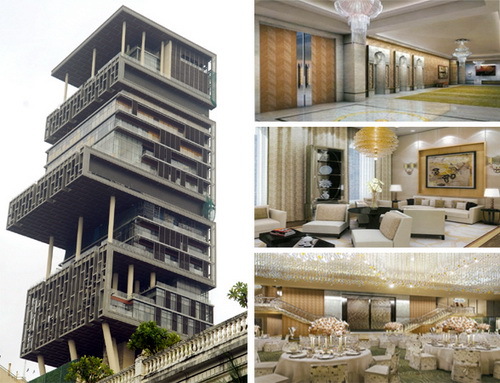 Built by Indian billionaire Mukesh Ambani, Antilia is considered the world’s most expensive residential property. Ambani spent five percent of his fortune on building the house. What could be on those 27 floors? Well, six floors are dedicated to housing 168 cars, 600 people are employed to keep the home running on a day-to-day basis, and there are also nine elevators, three helicopter pads, and a “health level.” The property of the wealthiest man in India is considered to be worth approximately one billion dollars so you may want to think again about investing your lottery prize in Antilia. The LottoExposed’s team wants to know if you win the lottery today, what would you spend your money on?